Who governs the euro area? The informal nature of the Eurogroup and the limited transparency of its decision making makes this a difficult question to answer. Yet knowing who is in charge is the very prerequisite of democratic accountability. For an institution whose decisions have had an impact on the lives of millions of Europeans, there is much about the Eurogroup that is mysterious. It rose from obscurity following the eruption of the euro crisis ten years ago to become the central actor in the drama surrounding a series of bail-outs – setting the conditions attached to European financial assistance to Cyprus, Greece, Ireland, Portugal and Spain. It’s a drama that continues to this day in hard-fought negotiations over Italy’s national budget. And yet what exactly the Eurogroup is, what deci-sions it takes (if any), and how it operates are questions that are still all too unclear. It is this lack of clarity that has profound consequences for its accountability and, therefore, its legiti-macy. 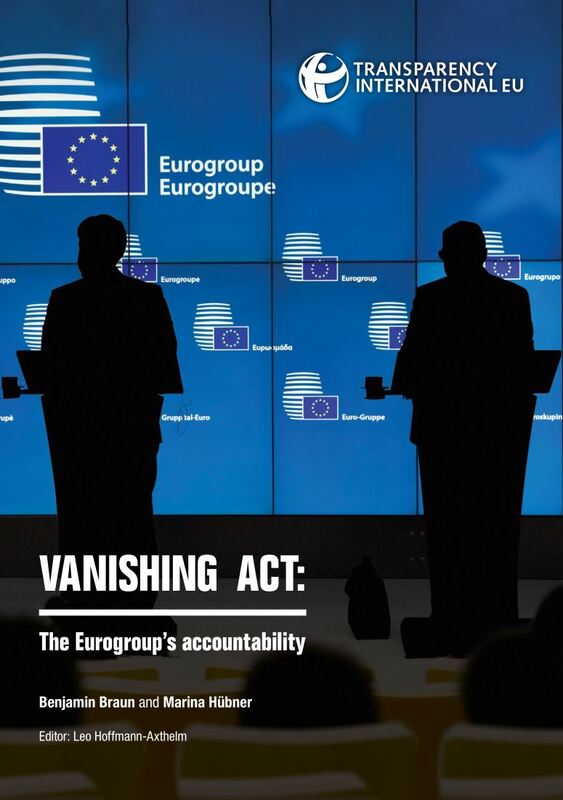 Indeed, one of our main findings is that the Eurogroup has evaded, and continues to evade, the accountability that its European-wide impact deserves. In some ways the Eurogroup is a very solid, enduring part of the EU institutional landscape. Since 1998, the euro area’s finance ministers meet as the Eurogroup the day before each meet-ing of all EU finance ministers (the Ecofin Council) in Brussels. The Eurogroup holds press conferences, issues press statements and publishes its agendas just like other EU bodies. The emergence of the Eurogroup as the executive headquarters of euro area governance was by no means inevitable. It was created 20 years ago as an informal forum for discussion and policy coordination on “issues connected with their shared specific responsibilities for the sin-gle currency” – essentially a talking shop. Those member states who did not adopt the euro as their currency were keen to avoid the creation of an all-powerful gouvernement économique that would exclude them. The euro crisis utterly changed all that. Since then, EU governments have put in place reforms to strengthen the coordination of fiscal and economic policy among Member States. These efforts, however, have not gone hand in hand with a proportionate increase of democratic accountability, with the effect of widening the EU’s overall “democratic deficit”. For exam-ple, changes to the European Commission’s annual monitoring and coordinating of national economic policies – the “European Semester” – mean that the Eurogroup will continue to make important decisions on national economic policies, including potential fines of up to 0.5% of GDP under the excessive deficit procedure. The new procedures aim to square the circle – coordinating policies without integrating decision-making. Our case study on the ne-gotiation of Italy’s 2019 budget deficit shows that this continues to be ineffective. Our conclusion then is that the Eurogroup continues to evade proper accountability. As a basic principle, “democratic control and accountability should occur at the level at which the deci-sions are taken” – i.e. European decision-making should be accountable at European level. This was the stated goal, in 2012, of the Presidents of the European Council, the European Commission, the Eurogroup, and the European Central Bank. While the Eurogroup’s Presi-dent regularly appears before the European Parliament to answer questions, this voluntary arrangement does not constitute an effective accountability mechanism. Thus, even while op-erating as a de-facto gouvernement économique, the Eurogroup as such is not accountable to anyone. The individual finance ministers are, of course, accountable to national parliaments and voters in national elections. 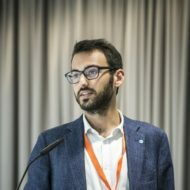 This decentralised accountability mechanism can work, but only under conditions that were not met in recent years and are unlikely to be met in the future: if Eu-rogroup decisions are taken by unanimity, if bargaining power is distributed relatively equally among Member States, and if national parliaments take an equally strong interest in decisions regarding other euro area countries, not only their own.